Bright, Colourful And Lots Of Fun! Super Stretched 'Hummer' 4x4 For Parties And School Proms! An Eye Catching 4x4 In Cool Black! Super Size Party Wagon With The Best Features Around! Stunning Super Stretched 4x4s In White! Refined Limousine Luxury For Weddings And Proms! 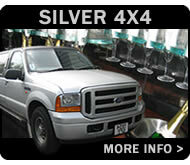 Our 4x4 limos provide a fun and luxurious way to travel for any special occasion! Our fleet of super stretched chauffeur cars include everything you need for a party atmosphere on the road at a rate thats affordable to everyone. WE ARE THE ONLY 100% LEGAL LIMOUSINE COMPANY TO OPERATE 16 PASSENGER STRETCHED 4X4 LIMOUSINES WITHIN THE NEWPORT AND CWMBRAN AREA! Please check that the car you are hiring is fully legal for use. There are many illegal and unsafe chauffeur driven vehicles operating in the region but we are a 100% legal and safe operator. You can do this by phoning VOSA (the Department of Transport ) on their helpline 0300 123 9000. Choose option 4 to get connected to the correct team. You will need the company's full trading name (not a website address). Our company name is THE LIMO PEOPLE LTD. VOSA will be able to tell you if the company has an operator's licence and COIF certificates on their cars. 8 passenger vehicles will be registered with the operator's local council along with CRB checked drivers. In many cases, hiring a luxury chauffeur car can work out the same or even cheaper than using a minicab or buying multiple train and bus tickets! Plus you get the convenience of being collected in comfort from your chosen address and, for return bookings, your chauffeur will be on hand to drive you home again. If you're looking for the best Hummer hire Newport and Cwmbran has to offer then make sure you get a great quote from us! 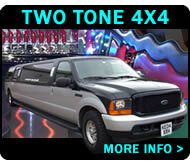 Our 4x4s are fitted with a superb range of features designed to add some extra sparkle to your party or special event. With super limos from Ford and Lincoln (one of Amerca's most prestigious motor manufacturers) our super stretched 16 seaters rival the Hummer design in every way. 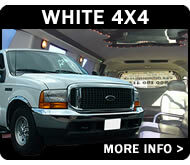 White 4x4 limousines with seating for upto 16 passengers! 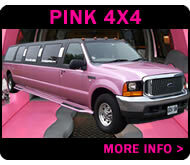 Pink 16 seater with two tone pink and black leather seating! 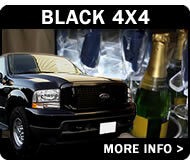 Cool black 4x4 with 16 seats! 16 seater 4x4 in smart silver colour scheme! 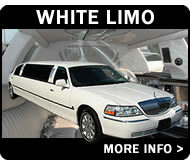 Modern Lincoln Town Cars in white with choice of light or dark interior designs! Don't forget that our limos come with a huge range of features to make your journey fun, including superb sound systems, tinted windows, champagne flutes and much much more! Enjoy that extra touch of the VIP life with a ride from Newport Hummer .co.uk! 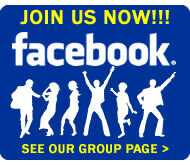 © 2010 - present The Limo People Ltd and Speedway Designs Ltd.